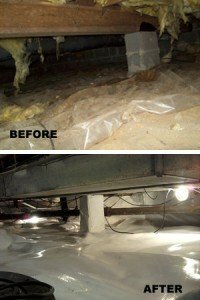 There are few common signs of a damp crawl space that are easily recognizable. Some signs include water stains, cracks in the walls or floors of your foundation, sticking doors and windows, and mold and mildew growth. Most of these signs are dangerous either to the stability of your home or even the health of you and your family. Water damage, cracks, and sticking doors and windows are signs that are dangerous to the condition of your home. These signs, if not taken care of soon enough, can leave lasting permanent damage in your home. Signs such as mold and mildew growth are health hazards to you and your family. Mold can give off spores that are able to be inhaled, which can lead to allergic reactions, even poisoning. Each of these signs can be fixed by one thing; basement waterproofing. If you notice signs of a damp crawl space in your South Dakota home, don’t be afraid to give us a call! There are a few different methods of basement waterproofing such as sump pumps, interior and exterior basement drainage, and vapor barriers. Sump pumps are a system that is used to waterproof and drain water within your home. In other words, they are a way to keep water out of your home. There are many aspects to think about when installing and using a sump pump. 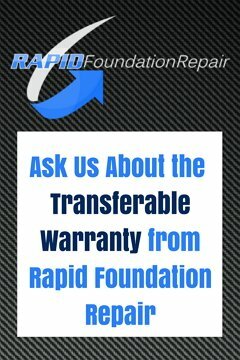 It may seem like a lot to think about, but don’t worry, Rapid Foundation Repair will help you in any way we can. We’ll help you pick the perfect sump pump system for your home, and we’ll help install it, as well as keeping it up-to-date and repaired. Basement drainage is just another way of keeping water and moisture out of your basement, and while most of these products will help prevent water damage in the first place, basement drainage will get the water that is already causing damage out of your home. We’ll help you clean up and then guide you in fixing the original problem as well. Vapor barriers are the way to go if you really want to keep water out of your basement and home. A vapor barrier is a material that will protect your basement from water damage. It covers the surfaces in your basement and won’t allow water inside the premises. Vapor barriers are puncture resistant and withstand mold and mildew buildup. Vapor barriers are a wonderful way to keep out water. They are one of the best tools out there. Whether it be a precaution or an urgent problem, Rapid Foundation Repair has your back. We promise great service and fantastic results. We are your number one crawl space repair team in South Dakota and the surrounding area! Give us a call today!